Originally founded as a small farming community west of Sacramento, Davis has grown into a vibrant college town that welcomes residents and tourists alike to enjoy everything the city has to offer. The University of California – Davis is located in the southern part of the city, and this is where you’ll find most cheap Davis apartments. 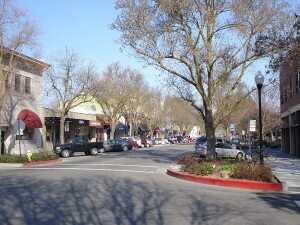 Adjacent to the university is Davis’ downtown area, which features many different nationally and locally owned restaurants, cafes, and shops. Most residents prefer biking over driving in the city because of its flat roads and many bike paths. Known as the city that has more bicycles than cars, Davis is home to the U.S. Bicycling Hall of Fame. The city was built for bikers, and there are more than 110 miles of paths and trails both roadside and separated from the street as greenbelts. Driving is also easy in this city, especially for commuters. Sacramento, only 15 miles away, is about a 35-minute commute during rush hour. Thanks to its small-town feel, Davis residents get a sense of both community and city life. The city loves hosting events throughout the year, whether it be advocating for the environment or just celebrating life. One of the most popular is Picnic Day, a large event run by UC-Davis student that features bands, games, food, and a parade, usually in April. The Davis Farmers Market is an award-winning market featuring local farmers open every Wednesday and Saturday. The founders of this small city planned it out so that every neighborhood was close to schools, parks, and entertainment establishments, making living easy and fun. South Davis comprises the city’s downtown, UC-Davis campus, and the surrounding area, making the neighborhood a healthy mix of students and families. Most Davis apartments for rent are in this region, and you’ll easily find a pet-friendly or studio apartment here. If you’re looking for a luxury apartment in Davis, take your search to North Davis, where you’ll find sprawling parks, a golf course, and manicured streets with beautiful houses and apartment complexes. This neighborhood is well-known for its many greenways, making it a very walkable community. Another very well-known neighborhood is Village Homes, a planned eco-community that sustains itself off the surrounding environment. There are several apartments to find in this neighborhood, including utilities included options. Whether you’re looking for an all bills paid or cheap apartment, use our apartment guide to find ratings and reviews of apartments in Davis! For more useful information on the subject of renting, take a look at our Renter’s Resources to learn how to rehome a pet, the difference between a condo and apartment, and how much should you spend on rent. RentLingo is your trusted apartment finder in Davis. We hire local experts, such as former property managers and locators to anonymously tour and consistently rate and review every available place. They share their honest and unbiased perspective with you, so you know how every rental ranks in the area. Because our experts tour every property, we can offer consistent apartment ratings across every region. So unlike finding a Backpage or Craigslist rental, you can trust these apartments are verified and trustworthy: whether it's a cheap studio or a one bedroom with all utilities paid all the way up to a nice house for rent or a luxury condo.